After the peninsula was colonized by settlers coming from the town of Megara and its colonies Byzantium and Calchedon at the end of 6th century BC, Pontic Messambria became polis of a Greek type closely connected to the way of life and culture of the peoples inhabiting the coastal areas of the Mediterranean, the Sea of Marmora and the Black Sea. 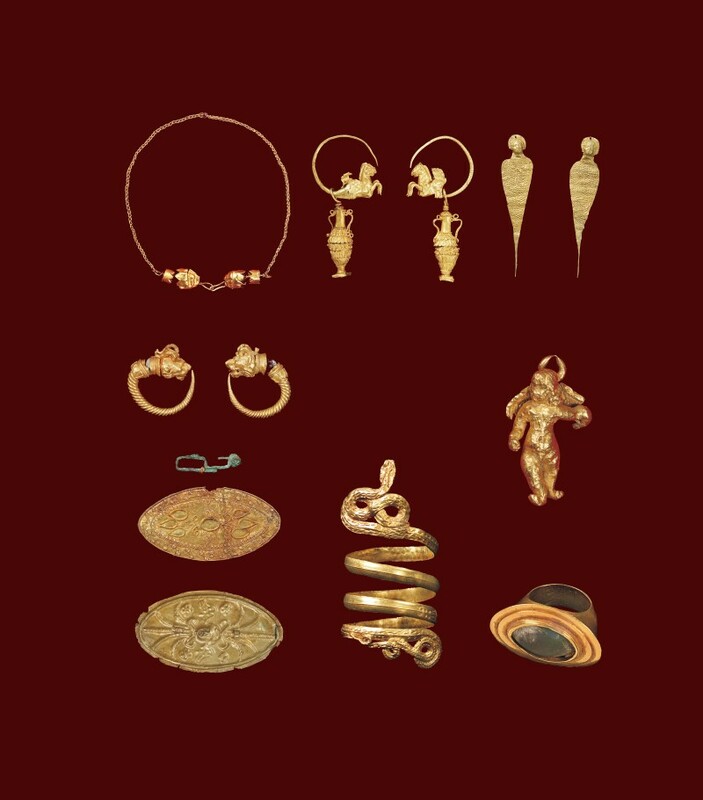 Numerous monuments dated to 6th – 2nd century BC serve as an illustrative picture of the large trade connections, the spiritual and cultural life as well as artistic crafts flourishing in this small Thracian coastal town. Messambria was governed by a council elected by national assembly. The council resolutions (decrees) engraved on marble were exposed in the central temple of the town, the Apollo temple. Messambria was the place where a number of memorial decrees in honour of notable persons and their noble deeds were found referring to the tutor from Calathus, Glaucus the medical doctor, the goddess Demeter priestess, etc. 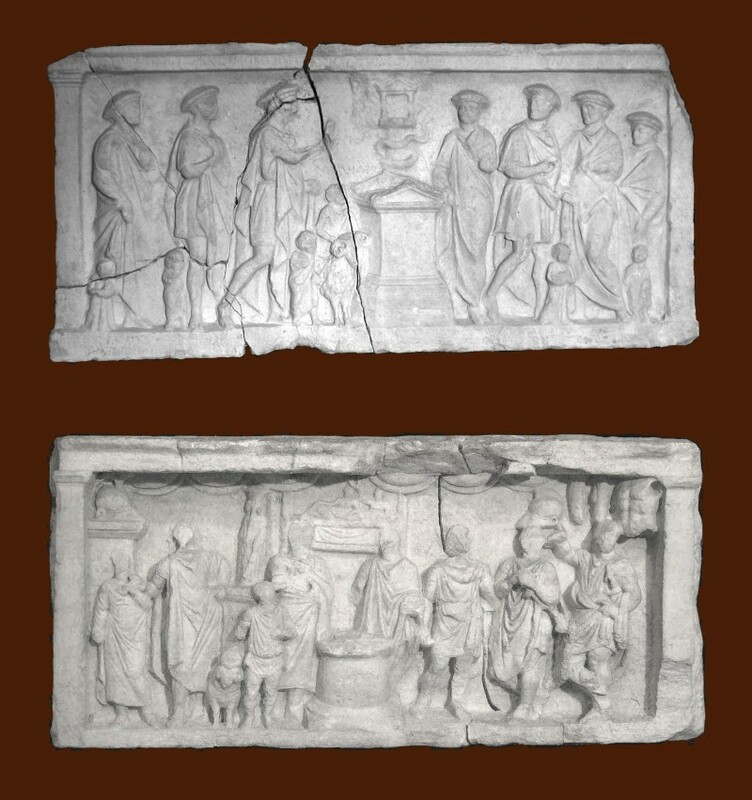 The marble votive tablets found at the foot of the Zeus temple are unique monuments demonstrating the administrative life of Messambria during 2nd century BC. Upon the embossed margins of these sculptural monuments there are pictures of the town magistrates; attending a solemn ceremony in honour of Melsa of the hero Sozipolis, etc. 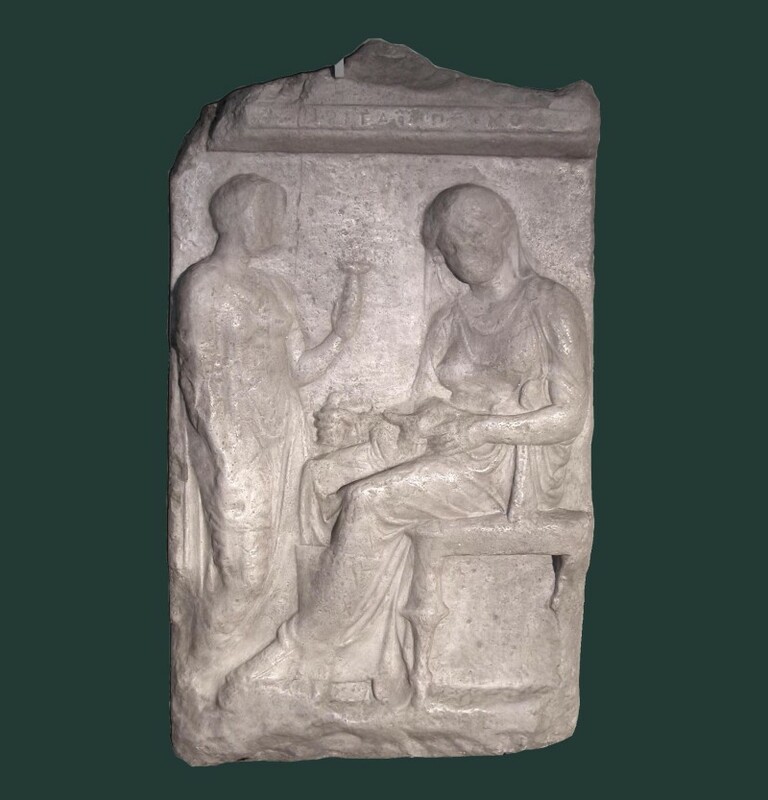 The Messambrian sculptors have left numerous works of sepulchral and religious plastic arts.There are life scenes of Messambrians depicted on the gravestones, e.g., Matroy, wife of Tyndareus; Calicrete, daughter of Hyparch; Menis, son of Atanayon; dancing Agazyclea, daughter of Noah, etc. 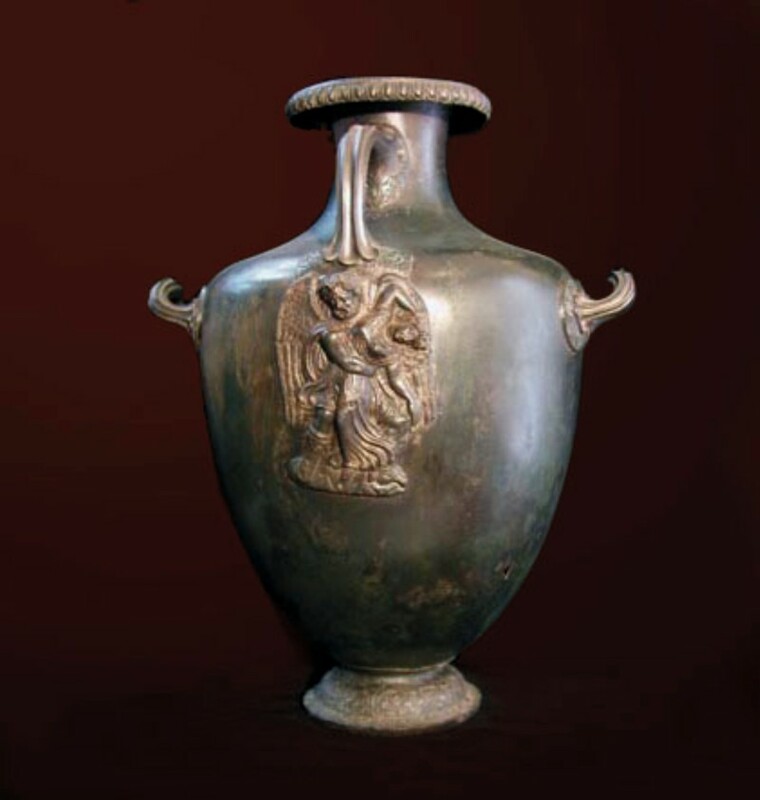 Four unusually rare bronze vessels, the so called "hydryas'' were found in the Messambrian necropolis. 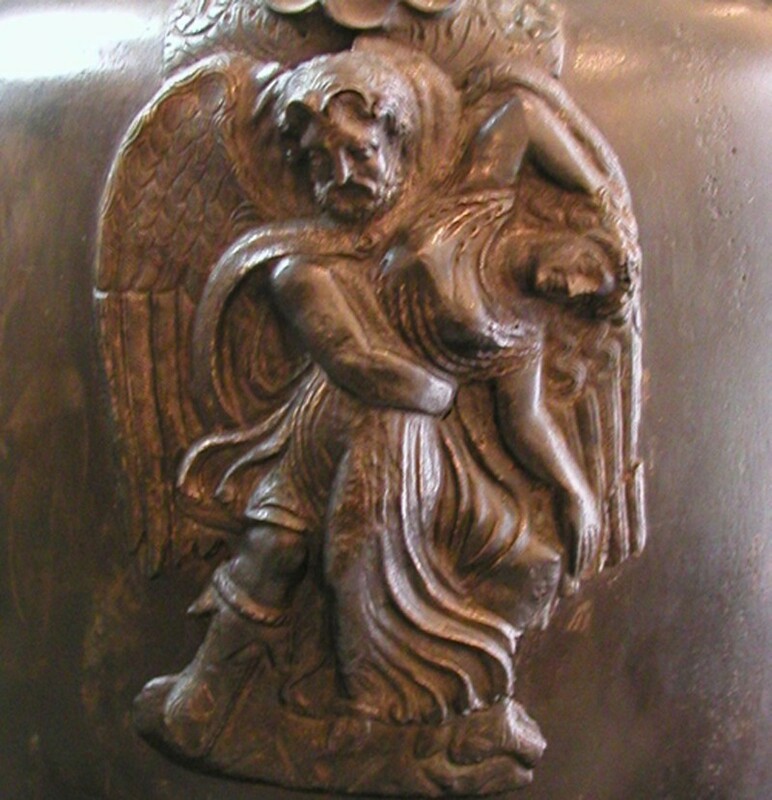 The two hydryas exhibited used as funeral urns are decorated each below its vertical handles with an application based on Greek mythology. The Messambrians decorated their houses with statuettes of baked clay, the so called terracottas: idols, smart ladies, graceful girls. A great number of them were imported while some moulds found there witnessed to a local produce as well. 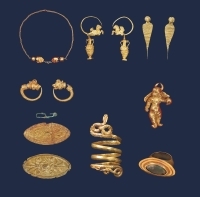 The religious life of Messambrians was marked by richness and diversity. 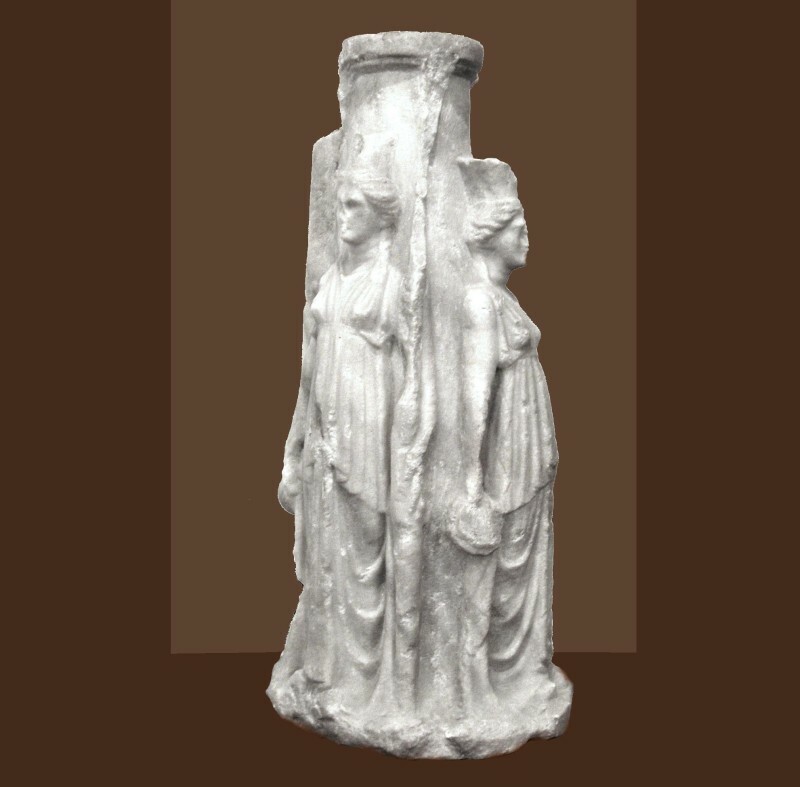 Interest was roused by the remnant of the colossal statue of Apollo; the torso of the Heracles statue; the magnificent statue of Tyche, the goddess of chance (4th century BC) etc. 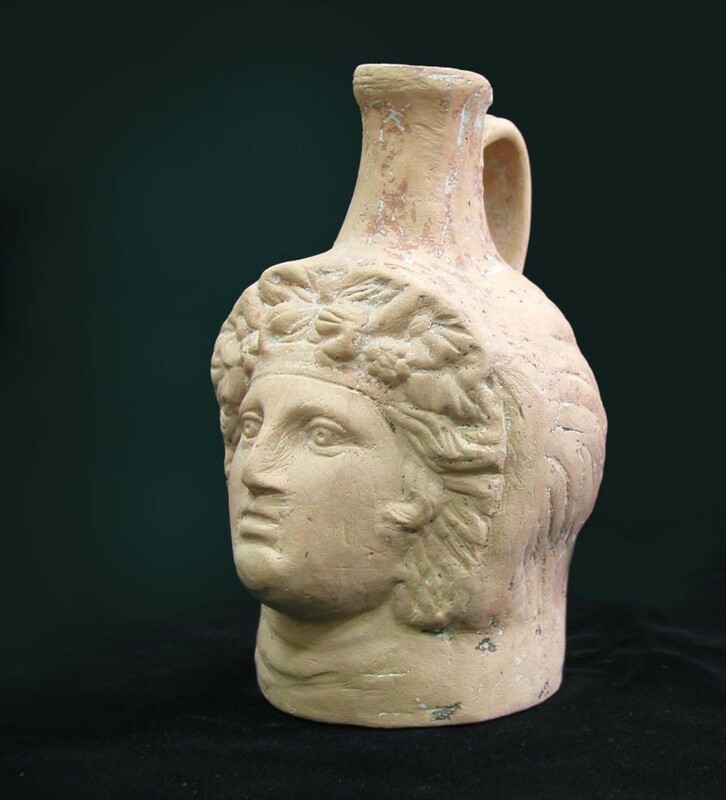 It is in Nessebur where the richest collection of ceramic architectural ornaments for Hellenistic houses was opened and exhibited: cymae, antefixa, frontal tiles with plastic decoration. 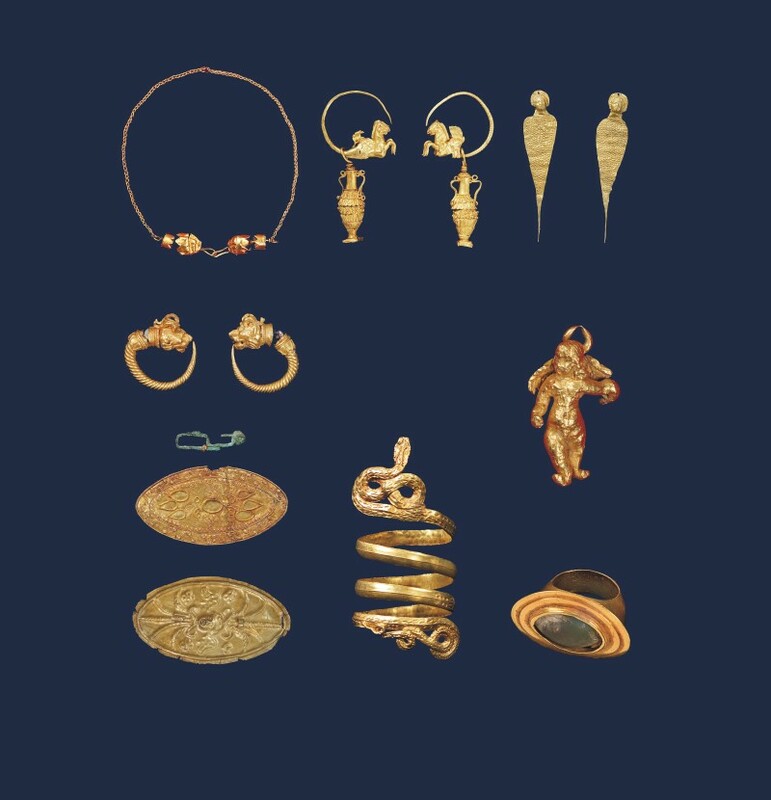 Among the funeral gifts in Messambrian tombs some exquisitely made gold jewellery could be seen, such as hooks, fasteners, earrings, rings, necklaces, etc., part of which were made in the local jeweller's work shops. 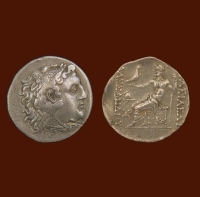 As an independent polis, Messambria minted coins as early as 5th century BC. 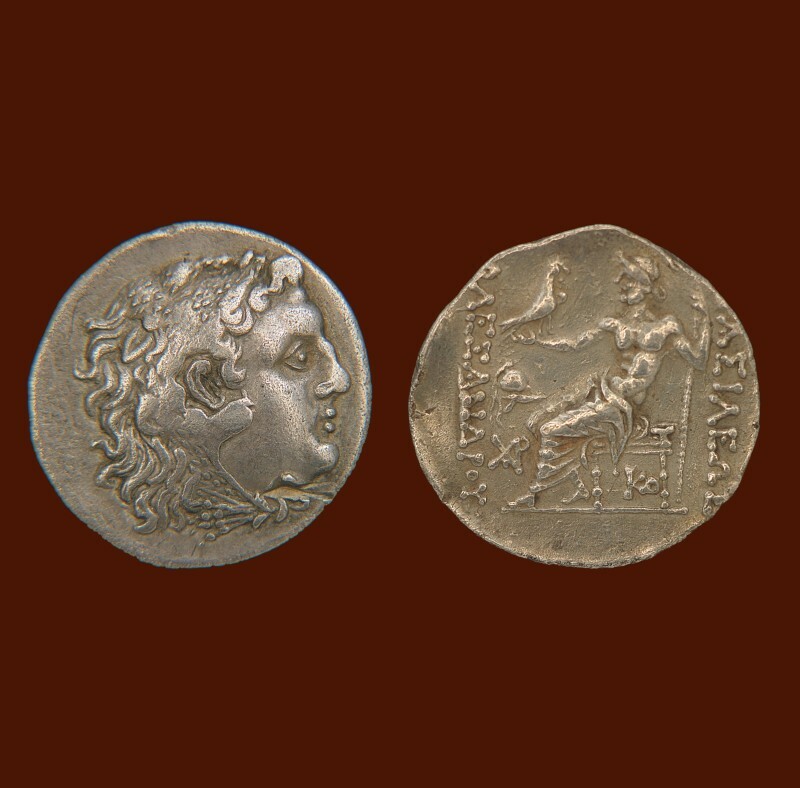 Gold, silver and bronze coins of several basic types were found there. 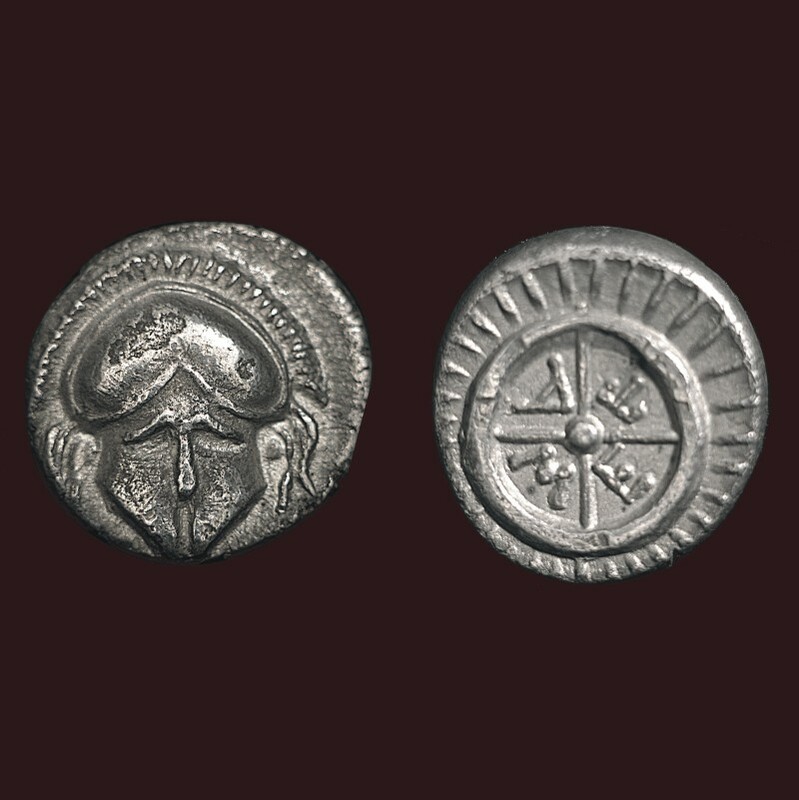 Corinth helmet with a mane, the Messambrian symbol, was depicted on the face of the most widely spread coins while on the reverse side there was a wheel equipped with spokes together with the initial letters of the town: META or MESA. 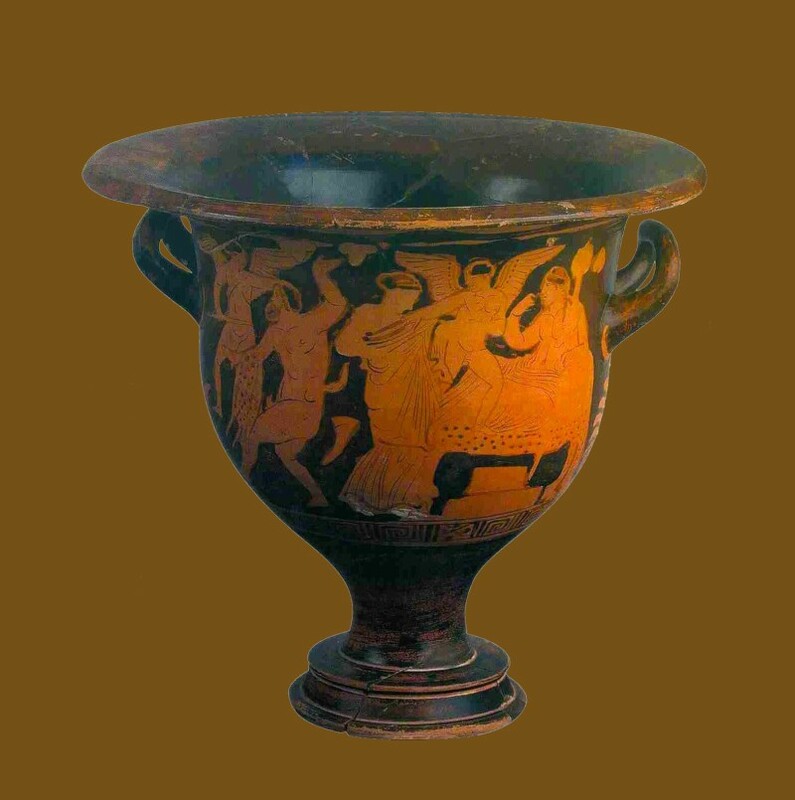 The best image of Messambria trade connections during 6th – 2nd century BC can be given by the imported pottery, such as blackfirn craters, kylikes, ascos, lamps, embossed bowls, the so called 'Megara cups', as well as the large number of amphorae and amphora seals found in the land and the aquatory of the peninsula.